Has your truck or load been seized by the UK authorities? Securing the return of your vehicle or load will involve complex legal wrangling. Strict time limits apply and, if the truck isn’t recovered, the authorities can legally sell or destroy the vehicle. At Smith Bowyer Clarke, our transport lawyers specialise in reclaiming vehicles and loads seized and impounded by the UK Border Force, HMRC, Police and DVSA. You can find some of our recent vehicle and load recovery cases here. 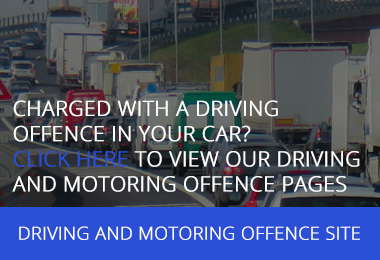 The procedure for reclaiming a seized vehicle or load will depend on the reasons for the seizure and which UK enforcement agency seized your vehicle. Trucks and loads entering the UK will be seized by the UK Border Force or HMRC (UK customs) if they are found to be carrying forbidden contraband (e.g. weapons, drugs, tobacco, alcohol etc). In most cases, both the haulier and the owners of the goods being transported will have no knowledge of the presence of the forbidden contraband. Our transport lawyers have a very high success rate of securing the release of EU owned trucks and trailers seized at the UK Border. We can usually achieve this without the need for a court hearing. In cases where a court hearing is necessary, we can prepare your case and go to court to fight for the return of your vehicle. Legal representation is strongly advised as, if unsuccessful, you may be liable for substantial costs. Quite often, owners of cargos carried will have had no involvement in the transport arrangements; these details are often handled by a freight forwarder or haulier. If the vehicle carrying the load is seized, it is often possible for our team to quickly arrange the release, collection and onward delivery of the load. At Smith Bowyer Clarke, our record of recovering seized trucks and loads is extremely high. Click here to see some recent examples. We can even arrange for collection, transhipment and onward transportation. The police and the DVSA have the power to seize your vehicle if they think you are operating without a licence. Only the legal owner of the vehicle can apply to to the authorities for the return of the truck. The owner of the seized vehicle will usually be expected to appear before the Traffic Commissioner at a hearing to explain, with evidence, why the vehicle should be returned to them. The law provides only four grounds for the return of the truck, three of which are highly technical. Often the result turns on the outcome of detailed legal argument. The Traffic Commissioner will take an active role in asking questions and challenging your evidence, before making a decision on whether the vehicle should be returned. Again, Smith Bowyer Clarke has a wide experience of successfully securing the release of seized trucks at Traffic Commissioner hearings. Our record is exceptional. Speak to one of our transport lawyers today for a free initial consultation. The UK authorities can seize any EU owned truck suspected of unlawful cabotage operations in the UK. Even if the vehicle was inside the “3 in 7” rule the truck can still be seized if its paperwork is not in order. Once a vehicle is seized, we must act quickly: there are strictly enforced time limits which, if missed, can result in the permanent loss of the vehicle. The police have the power to seize any property which they think might be evidence in a criminal case (e.g. drug smuggling, tachograph fraud, fatal accidents etc). Our transport lawyers can liaise with the police on your behalf and make representations for the release of any seized vehicle. At Smith Bowyer Clarke, our emergency vehicle and load recovery legal team has years of experience in reclaiming seized and impounded vehicles and loads on behalf of clients across the UK and Europe. 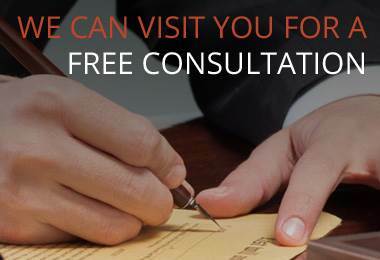 Speak to one of our lawyers today for a free initial consultation.